When Princess Victoria of Sweden was married in July 2010, she wore for her wedding the cameo crown that Napoleon gave to Josephine. 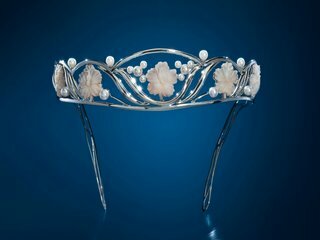 Seeing photos of the antique shell cameos and pearls used in that crown, we realized that we could make a modern day cameo tiara with a totally different, feminine look, inspired by Nature, for that very special bride. 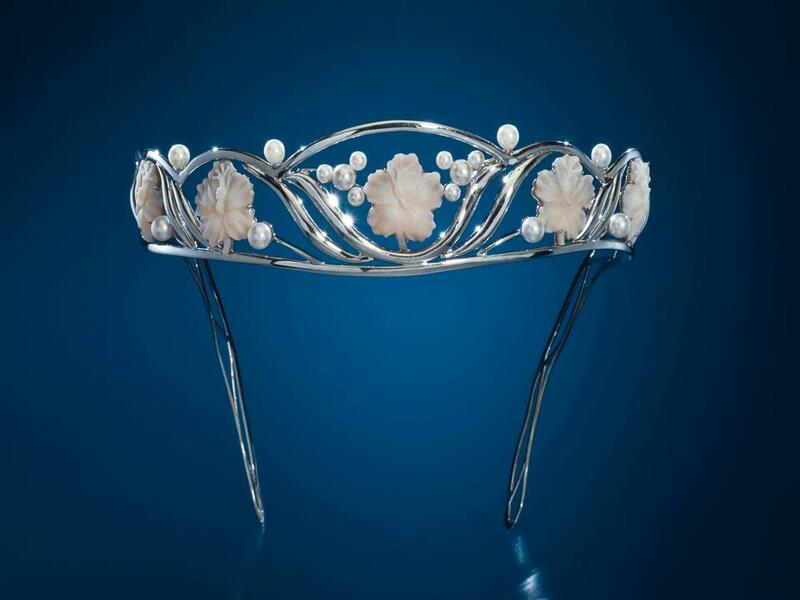 So we did, and are proud to present the "Hibiscus Tiara", the first cameo tiara ever made with Panamanian carved cameos. Five hibiscus cameos, measuring 20-21mm each, artist signed, are set in 18kt white recycled gold with a platinum finish, accented with 16 lovely Akoya pearls. We believe that this unique tiara will have historical significance over time. Eco-friendly, Fair Trade. Registry numbers #1267,1268,1269,1270,1271. Sold with a Certificate of Authenticity. 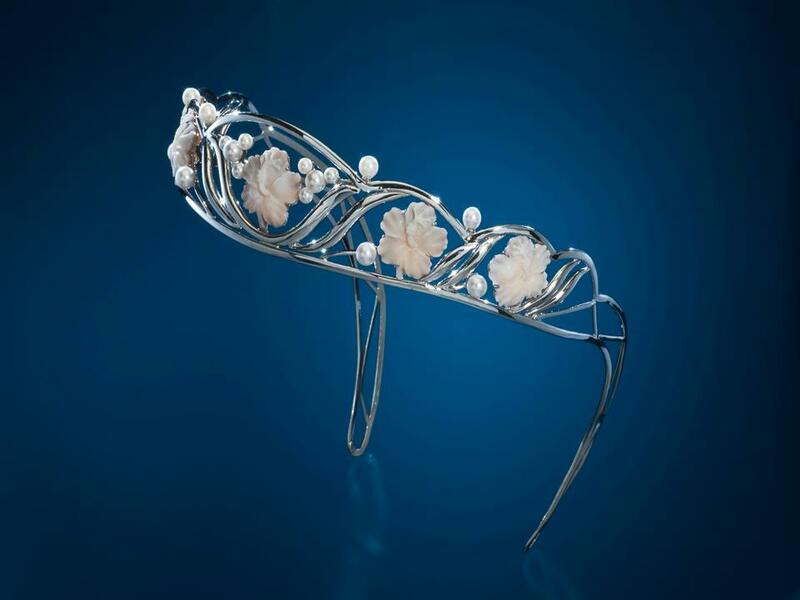 Please note: With sufficient lead time, we can work with you on a custom made tiara.